Thank you for choosing REQCHECKER software. This section presents several procedures applicable for the following licenses. Reqchecker exists in 5 licences types. REQCHECKER™ PRO Trial, REQCHECKER™ PRO Standard and REQCHECKER™ PRO CL require a physical computer, any form of virtualization is not allowed. Other licenses are compliant with virtualization and with Microsoft Terminal Services. With floating license you can empower an entire team with only the number of licenses that are expected to be in use simultaneously. Floating license is easy and cost-efficient: reduces the administration, as it is easier to administer because the IT department do not have to monitor usage as closely. 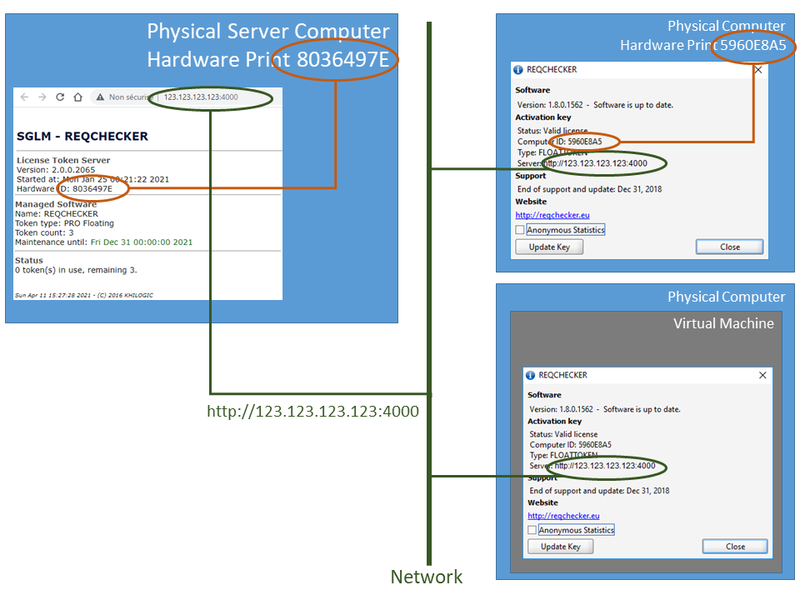 REQCHECKER™ application can be deployed on a physical computer or a virtual machine. 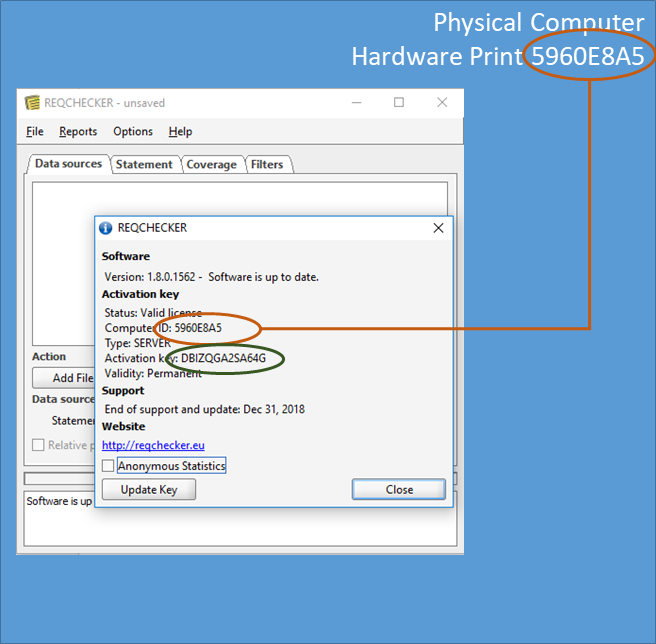 The license activation key is linked to the hardware footprint of the physical computer that hosts the licence manager. This deployment is available for REQCHECKER™ PRO Floating, REQCHECKER™ PRO CL Floating.